The Central Information Commission (CIC) has declared the Constitutional Club of India (CCI) as a “public authority” under Section 2(h) of the Right to Information Act. Central Information Commissioners M Sridhar Acharyulu and Sudhir Bhargava observed that there is an indirect funding of the government to the CCI and, therefore, it has to supply the information sought, as per Section 19(8) (a) (ii) of the RTI Act. This observation was made by the commission while hearing an appeal regarding an RTI application filed by one Subhash Chandra Agrawal, seeking information regarding a news clipping “Constitution Club: 50 MPs slam management”. The commission noted that funding by the government i.e. inclusive of rent receipts and the renovation amount, is so substantial in nature and it cannot be ignored for considering the public character of the CCI. The commission also observed that constitution club’s claim that most important documents about Constitution Club of India were not available reflected serious negligence. The commission required them to be careful and systematic in keeping the records. “The CCI is enjoying enormous concessions and manages valuable immovable properties, besides getting a new building and possession of suites etc. This substantial funding, if withdrawn, the CCI cannot function even for a minute,” the commission observed. The CIC also observed that the Lok Sabha Speaker is the ex officio president of the club, Lok Sabha Deputy Speaker its ex officio general secretary and Union Minister for Urban Development and Rajya Sabha deputy chairperson its ex officio vice-president. Though the said positions are claimed to be honorary and ceremonial, they are, in fact, substantially controlling as proved by the transactions and transfers, the commission said. 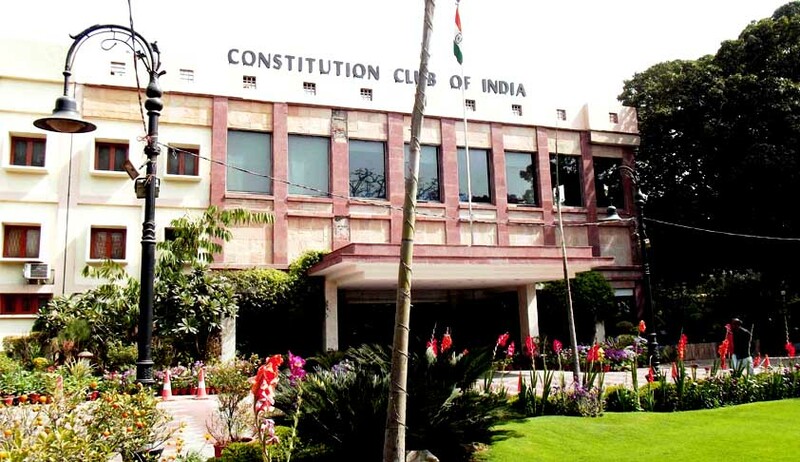 The Constitution Club of India was opened in February 1947 with the objectives and purposes of fostering social contacts and providing usual amenities of a club life for the benefit of the members of the Indian Constituent Assembly.